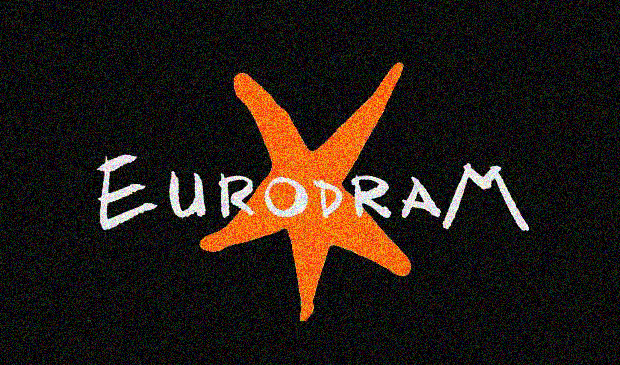 EURODRAM is a theatrical promotion network of works in European, Mediterranean and Central Asian languages. Its main objective is to present works by contemporary playwrights to both theater professionals and the public at large, with a particular focus on linguistic diversity. The network is organized into30 language-based committees with a total of more than 300 members. – Even years: the selection of plays written in the language of the committee (original plays). – Odd years (as is the case of this edition 2016-2017): the selection of plays from other languages translated into the language committee (translated plays). The complete list of EURODRAM winners is published in the press of all member countries, and has a large impact on subsequent theater seasons. The specific award varies depending on the language committees that grant them. For instance, in the case of Hispanic Languages Committee, the winning works have been distributed to a large number of theater professionals inside and outside of Spain, and are presented as part of a reading series in New York City. This event is being organized by AENY – Spanish Artists in New York in collaboration with NITE – New International Theatre Experience. This year, EURODRAM 2017 will accept plays that have been translated into the languages of the committees. To participate, send an email with the subject heading “EURODRAM 2017 – Submissions” to the director of the committee of the language in which the play has been translated. Check the addresses of the directors in each committee’s page by clicking here. If you want to submit a play translated into Spanish for the consideration of the Hispanic Languages Committee, please feel free to email me directly at [email protected] with the subject “EURODRAM 2017 – Submissions”. Any email received with a different subject won’t be filtered into the proper folder and therefore won’t be able to participate in the selection process. Please, be careful.